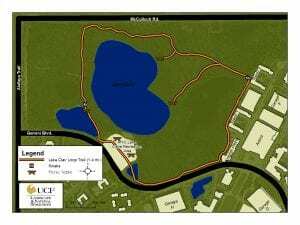 The four trails located in the Natural Areas total three miles and take our visitors through four unique Florida habitats. 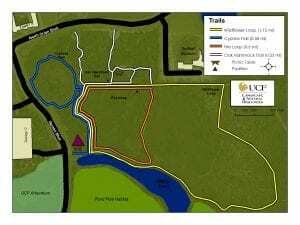 The Cypress Trail (0.71 miles) encircles a magnificent cypress dome, while adjacent to that the Transition Trail (0.32 miles) winds through the beautiful Oak Hammock, a great place to meet with friends or quietly study. The Fire Loop (0.81 miles) and the Wildflower Loop (1.17 miles) guide our visitors through two different types of flatwoods, pine and scrubby, where both plants and animals can be observed regularly in their natural environments. 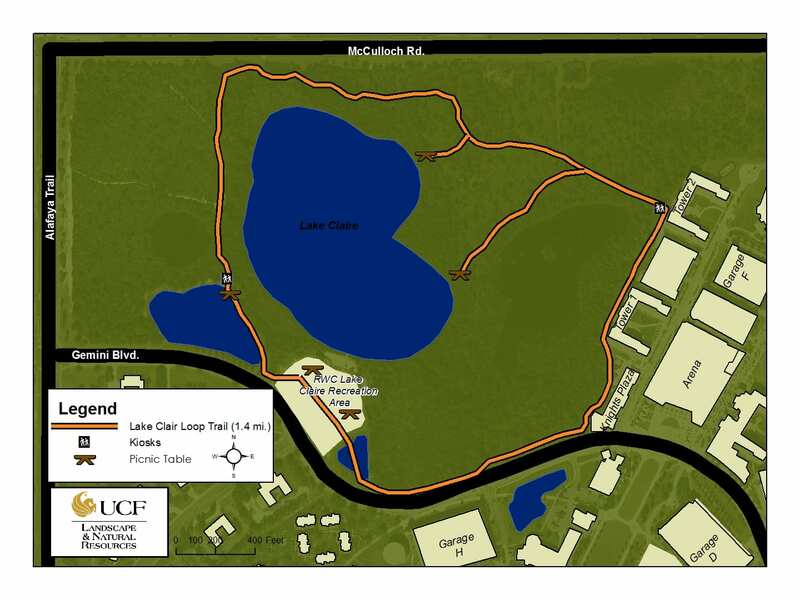 The fifth trail takes hikers around Lake Claire (1.4 miles) for a full loop, allowing for start and finish at the Lake Claire Recreational Area. There are two look-out points on the trail where picnicing or relaxing with a book would be ideal, as well a a secret dock. Though we are actively working on accommodating all participants, please note that we are not currently wheelchair accessible.